On Friday, July 26, policemen burst into the office of the CNTC (National Center of Rural Workers) in El Progreso, Yoro, and arrested Magdalena Morales, the CNTC Regional Secretary for the Honduran department of Yoro. Magalena is charged with usurping land as part of the criminalization campaign against campesinos in the Sula Valley to the benefit of large sugar companies. She is just one of 52 campesinos with legal proceedings against them because the Agua Blanca Sur land struggle. Yes, the Bowman expeditions are back, rebooted by a Department of Defense Minerva grant, and soon to arrive in all seven Central American countries. To study which indigenous peoples, exactly? Usually in academia such things are not secret, but this project involves the US military. A New Era for Guatemala’s Indigenous Peoples? Indigenous representatives gathered from across the country on August 9 in a local school in the municipality of Totonicapán demanding that the state honor their rights to self determination. This event, convened by the 48 Cantones of Totonicapán, was one of 25 acts of protest nationwide, including road blockades at strategic points throughout the country marking International Day of the World’s Indigenous Peoples. 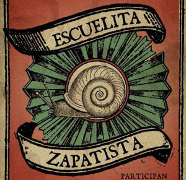 From August 12-16 the zapatistas opened the doors to their caracoles, communities and hearts to 1630 students enrolled in the first grade of “the escuelita (the little school): freedom according to the zapatistas.” The escuelita didn’t have formal classrooms with a rigid schedule and teachers imparting their knowledge. Instead it featured immersion based learning, grounded in the daily tasks of constructing autonomy. This included grinding corn, weeding onion crops, collecting firewood, and washing your clothes in the river.